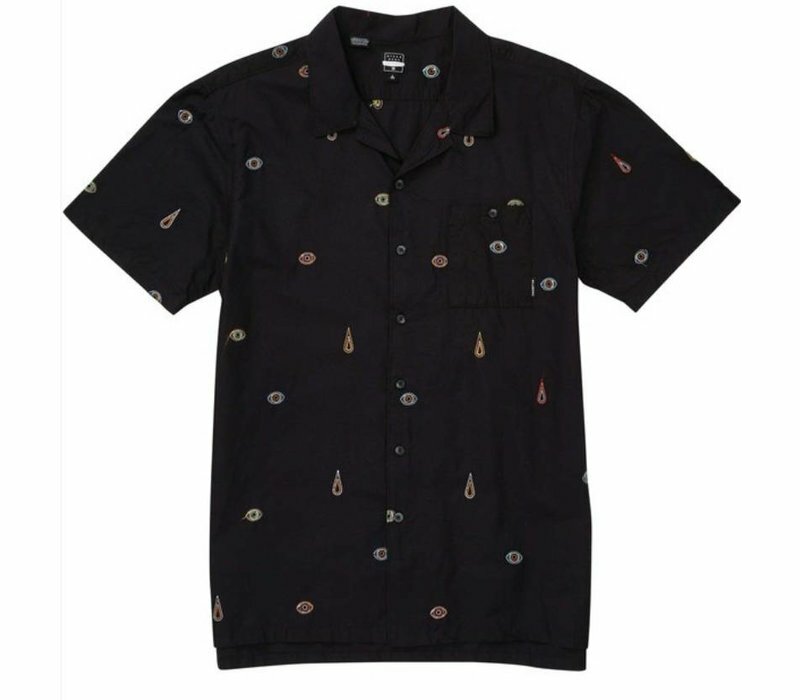 Part of the special edition collection with artist David M. Cook, aka Bonethrower, this shirt features his psychotropic artwork embroidered throughout. The Bone Thrower Optic Short Sleeve keeps clean lines with a straight hem with side vents. 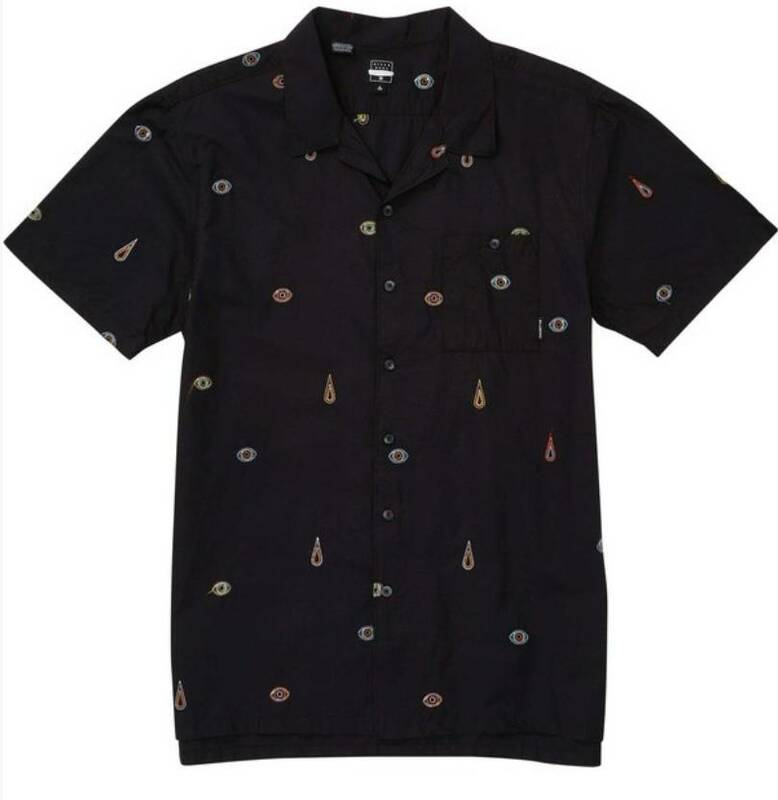 Mens short sleeve button down shirt.